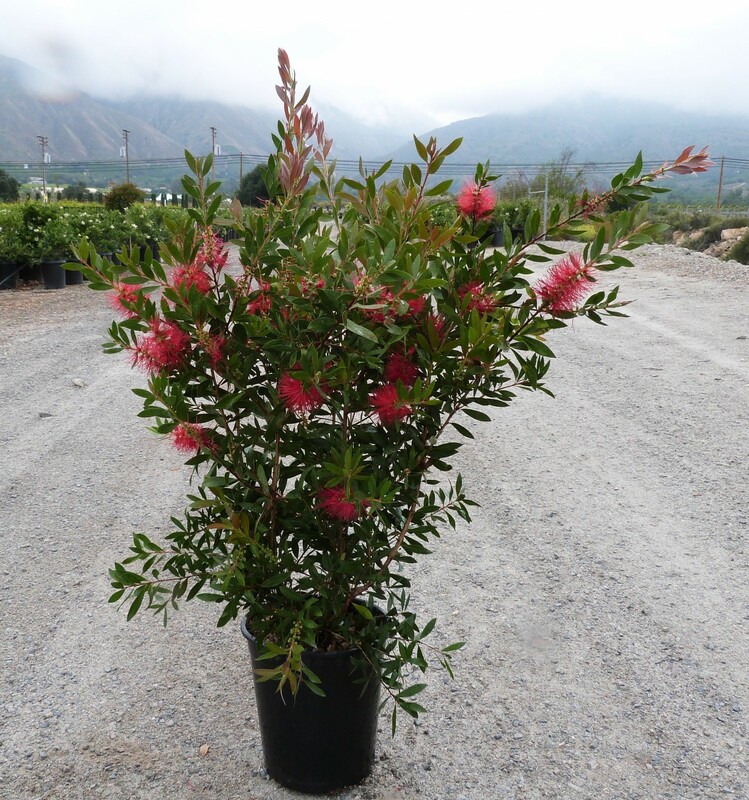 One look at the blooms on the callistemon lanceolatus, a medium sized shrub, will explain why we refer to it as lemon bottlebrush or crimson bottlebrush. Plants produce masses of bright red bloom clusters shaped just like a bottle brush. Blooms appear most heavily in spring, but may also be produced sporadically throughout the year. The beautiful blooms are irresistible to both hummingbirds and butterflies. Why the “lemon” part to the name? Crush the leaves and you’ll be rewarded with a fresh lemony scent and flavor. The evergreen foliage is small, narrow with a grayish Bottlebrush is quite heat tolerant and makes a stunning specimen in southern gardens. They require a sunny location and will quickly decline if planted in shady landscapes. Plants are very tolerant of a variety of soils and poor soil, but for best performance be sure soil drains well. Once established water needs are low. Plants can be sheared, however you’ll miss out on their signature flowers! Deer tend to avoid bottlebrush, so it makes a good privacy screen.